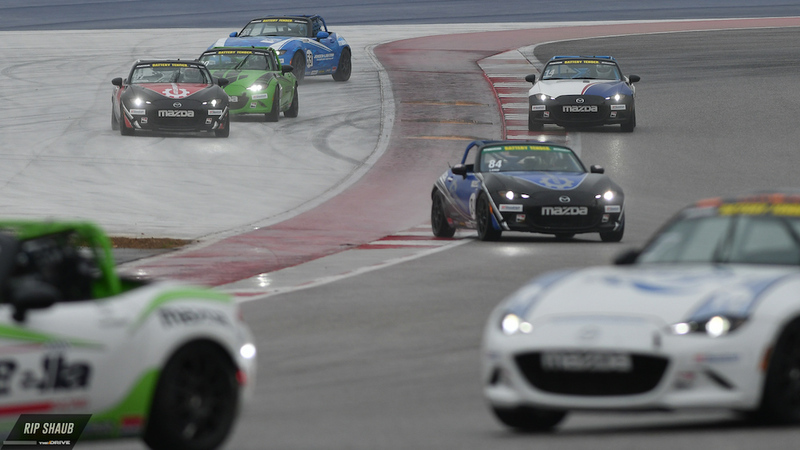 The Mazda MX-5 Cup enjoyed a thrilling start to the season at the Circuit of the Americas in Austin, Texas. 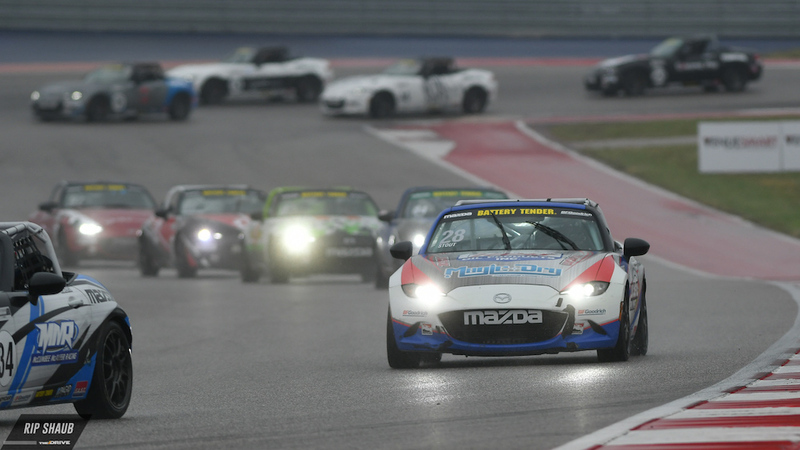 The Global Mazda MX-5 Cup held its maiden racing weekend of 2018 at the state-of-the-art Circuit of the Americas where a Saturday and a Sunday race saw two different drivers crowned under very different weather conditions. Saturday's race saw rookie Bryan Ortiz pilot his No. 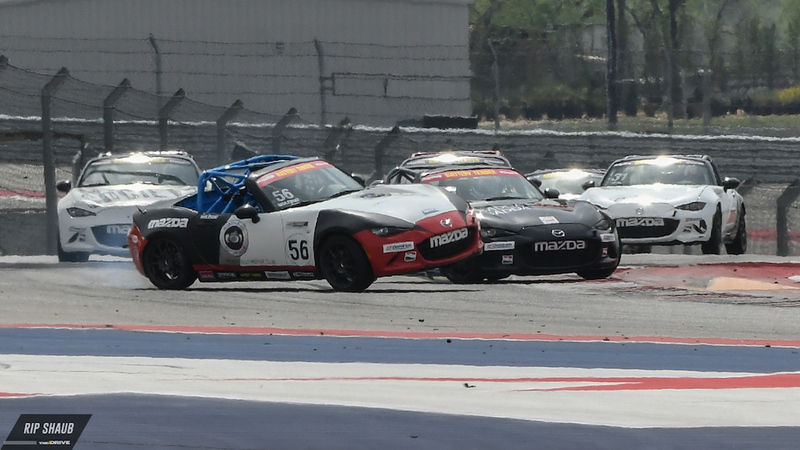 4 Copeland Motorsports Mazda MX-5 to victory after emerging out front following a thrilling final-lap shootout. There were a total of 160 passes for position during the 40-minute race, which involved a whopping 32 race cars take to the same track where Formula 1 cars will race later this year. Nikko Reger and his No. 01 Slipstream Performance Mazda MX-5 came in second place, crossing the line just 0.8790 seconds behind Ortiz. Selin Rollan crossed the line in third place at the wheel of his no. 87 Sick Sideways Racing Mazda MX-5, with John Dean II and Joey Bickers rounding up the top five for Saturday's race. Sunday was a completely different story, as early-morning rain and fog blanketed the 3.41-mile racing circuit ahead of the 8:55 a.m. starting time. Eventually, the action got underway in Austin, and slippery track conditions made things extra interesting and extra aggressive for the field of drivers. Despite the carnage that unfolded throughout the track, Sellin Rollan, who finished third the day before, visited the top step of the podium on Sunday. 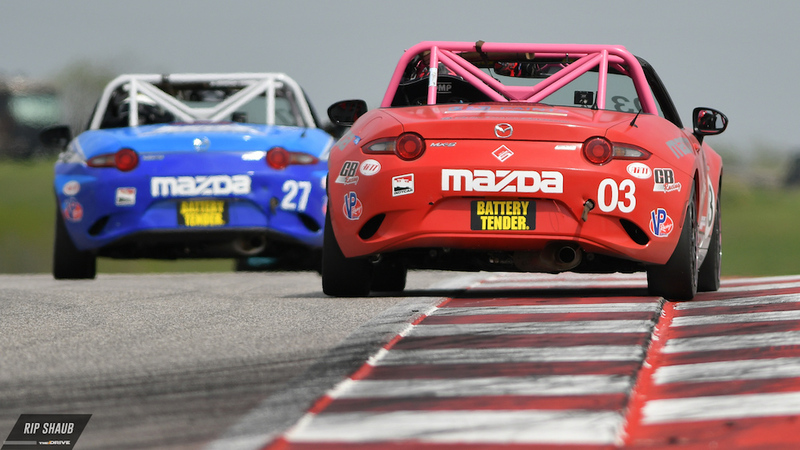 The Mazda Global MX-5 Cup now heads to Birmingham, Alabama, where the Barber Motorsports Park will welcome one of the most affordable sports car racing series in the world on April 20 through 22.